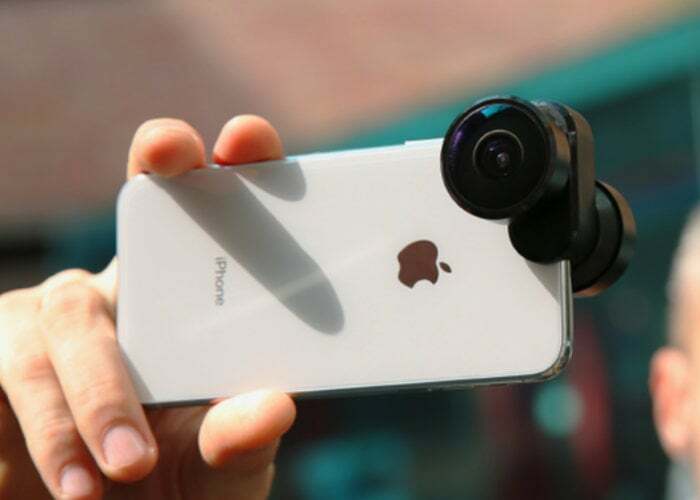 Smartphone photographers may be interested in a new powerful smartphone lens specifically created for mobile photography to capture anamorphic, wide-angle, fisheye and 360 from one lens. Watch the demonstration video below to learn more about the FusionLens 2.0 smartphone camera lens which has this week launched via Kickstarter and already raised its required pledge goal with still 28 days remaining on its campaign. For a full list of all available pledge options and more details on the smartphone camera lens that is capable of capturing super-wide anamorphic video in 23:9 jump over to the official campaign page by following the link below.